Bothwell, Robert. "Jean Chrétien". The Canadian Encyclopedia, 20 November 2017, Historica Canada. 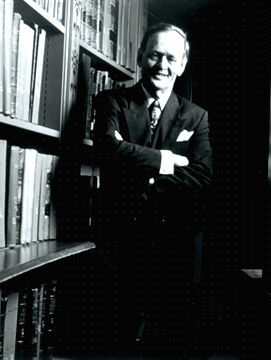 https://www.thecanadianencyclopedia.ca/en/article/joseph-jacques-jean-chretien. Accessed 18 April 2019. Joseph-Jacques Jean Chrétien, CC, PC, OM, QC, prime minister of Canada 1993–2003, lawyer, author, politician (born 11 January 1934 in Shawinigan, QC). Joseph-Jacques Jean Chrétien, CC, PC, OM, QC, prime minister of Canada 1993–2003, lawyer, author, politician (born 11 January 1934 in Shawinigan, QC). Lawyer and long-time parliamentarian Jean Chrétien was Canada's 20th prime minister. Early in his political career, Chrétien helped negotiate the patriation of the Canadian constitution as well as the Canadian Charter of Rights and Freedoms. As Prime Minister, he led the federal government to its first surplus in nearly 30 years; however, his administration also presided over a costly sponsorship program in Québec that sparked one of the worst political scandals of modern times. Chrétien’s government committed Canadian forces to the Kosovo conflict (1999) and to the war in Afghanistan (beginning in 2002), although he publicly refused to provide direct support for the subsequent American campaign against Iraq. The recipient of numerous honours and awards, he is involved in several international organizations dedicated to peace, democracy and other global concerns. At age 12, Chrétien suffered an attack of Bell’s palsy, which left one side of his face partially paralyzed. He would later remark that he was one politician who didn’t “speak out of both sides” of his mouth. A member of a staunchly Liberal family, Chrétien became involved in politics at an early age, attending rallies and distributing political pamphlets while still a child. In 1957, he married Aline Chaîné, who would support and advise him throughout his political career. The couple would have three children: sons Hubert and Michel and daughter France (who was awarded the Order of Canada in 2011 for voluntary service and philanthropy). In 1959, Chrétien graduated with a law degree from Université Laval and joined a firm in Shawinigan. 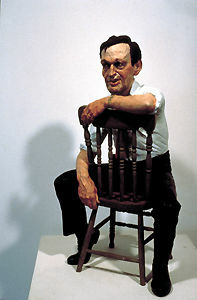 However, he remained politically active while building his practice. In 1963, Chrétien won election to the House of Commons as a Liberal, representing the riding of St-Maurice–Laflèche. He served in Prime Minister Lester Pearson's Cabinet as minister without portfolio and then minister of national revenue; in 1968 he supported Mitchell Sharp for the party leadership. Under Prime Minister Pierre Trudeau, he occupied a number of different portfolios, including treasury board; industry, trade and commerce; finance (the first French Canadian to do so); justice; energy, mines and resources; and aboriginal affairs. Around 1970, when Chrétien was minister of Indian Affairs and Northern Development, he and Aline adopted their son Michel from an Inuvik orphanage. A strong and emotional speaker, Chrétien enjoyed considerable popularity both inside and outside Québec. As minister of justice (1980–82), he directed the federalist forces in the Québec referendum of May 1980 and then helped devise and implement the federal government's strategy for the patriation of the Constitution of Canada and the enactment of the Charter of Rights and Freedoms. Using a folksy style in English and French, he was able to create a rapport with his audiences. 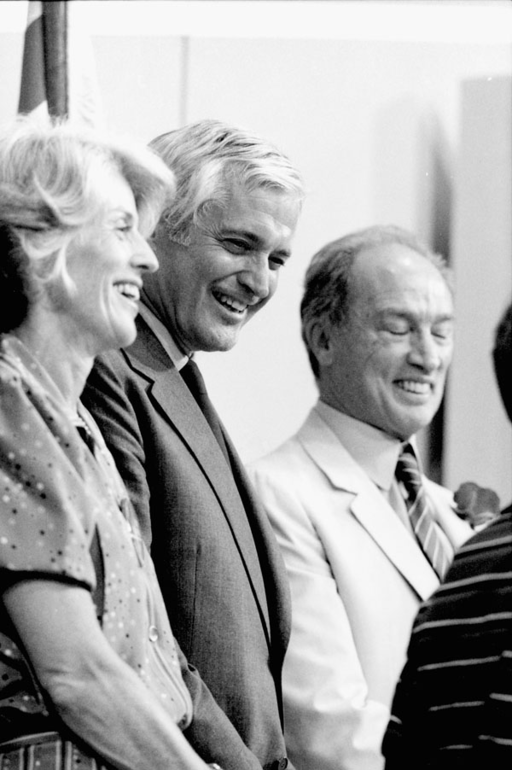 His forceful and engaging speaking style, strong identification with his audiences, and skills as a political organizer were amply demonstrated when he ran second to John Turner in the Liberal leadership campaign in 1984. Chrétien retained his seat in the subsequent election, but grew restive in opposition. With Turner's leadership confirmed at a party convention in 1986, Chrétien resigned his seat in the House of Commons and took up the private practice of law. Around this time he also published the autobiographical Straight from the Heart (1985), which quickly became a bestseller. John Turner resigned the leadership in 1990 after a second defeat by the Conservatives. This time Chrétien succeeded in winning the Liberal leadership, defeating Paul Martin, and he returned to the House of Commons, representing the New Brunswick riding of Beauséjour, in 1990. Created by Joe Fafard (courtesy Woltjen/Udell Gallery). After an election in which the ruling Conservatives were devastated, Chrétien was sworn in as Canada's 20th prime minister (photo by Guntar Kravis). Chrétien inherited a party that was disorganized and almost bankrupt. Moreover, his opposition to the Meech Lake Accord in 1990 cost him support among Québec nationalists, while the failure of the Charlottetown constitutional accord (see Charlottetown Accord: Document) in 1992 contributed to calls for sovereignty in the province. However, his party was well prepared for the election of October 1993. Chrétien ran an almost flawless campaign, targeting the issue of job creation and releasing a detailed platform book (the “Red Book”) that effectively answered criticisms that he would mark a return to the spending extravagances of previous Liberal governments. Chrétien recaptured his old riding of St-Maurice and managed to win 19 seats in Québec in the face of the onslaught of the Bloc Québécois. Elsewhere in Canada, the campaign was a triumph, as the Liberals won a clear majority (177 seats overall). After a brief transition following the October 25 election, Chrétien was sworn in as Canada's 20th prime minister. 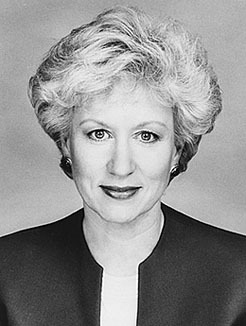 With the complete disintegration of the Conservative Party under Kim Campbell, which fell from 151 seats to 2, and the collapse of the NDP, Chrétien's Liberal Party was the sole national party left in the House of Commons to face the regional blocks represented by the Reform Party and the Bloc Québécois. The Chrétien government inherited a difficult legacy; at the same time, it was fortunate in the period in which it governed. Canada in 1993 had high taxes, a high national debt and an alarming annual deficit. Chrétien made the difficult choice to cut or limit federal programs, including subsidies to the provinces, and to eliminate the deficit as the major priorities of his government. The Liberals also retained the unpopular Goods and Services Tax, which Chrétien had once promised to abolish. Fortunately, economic conditions were good and revenues rose, permitting in 1998 the first Canadian surplus in nearly 30 years. In spite of the Liberal budget cuts, Chrétien and his finance minister, Paul Martin, enjoyed high public approval in comparison to the political opposition, which remained in disarray. Chrétien was somewhat less fortunate when it came to the perennial issue of Québec separatism. In the Québec referendum of October 1995, the federalist forces scraped by with the barest victory, and Chrétien's role in the campaign was severely criticized. Not long after the Québec referendum, an armed intruder broke into the prime minister’s residence at 24 Sussex Drive. As recounted in his later trial, André Dallaire, who suffered from paranoid schizophrenia, heard voices instructing him to kill the prime minister and avenge the results of the vote. After scaling the fence, he smashed a window and entered the house. Woken by the noise, Aline went out to investigate and was confronted by Dallaire just outside the bedroom door. After retreating to the bedroom and locking the door, she woke her husband and then called the RCMP security team. Chrétien grabbed an Inuit carving of a loon from a bedside table to defend himself. However, Dallaire never attempted to enter the bedroom and was eventually apprehended by the RCMP. He was later convicted of attempted murder but was not held to be criminally responsible. The results of the Québec referendum made it clear that Chrétien's popularity in his home province was limited. Chrétien tried to remedy the situation through an ill-conceived and largely secret "sponsorship" program designed to raise the profile of both Canada and the federal government in Québec through a targeted advertising program. However, the program instead turned into a multi-million dollar scandal that did little to create support for federalism. Revelations in the Globe and Mail prompted a series of investigations, including an RCMP investigation and the high-profile Gomery Inquiry, which found that public money had been used to enrich Liberal-friendly advertising firms and to provide kickbacks and campaign funds to the Québec wing of the federal Liberal Party. Chrétien testified at the Gomery Inquiry in 2005, and although he was not personally implicated in the scandal, the affair would politically hobble his successor, Paul Martin, and would taint the Liberal brand in Québec for years to come. In foreign policy, the Liberals stressed economic diplomacy above all during Chrétien’s first term, and Chrétien himself led a series of highly publicized "Team Canada" missions to various countries and regions. In terms of photo opportunities and favourable media, these may have been triumphs, though critics charged the government with overlooking human rights abuses in countries including China and Indonesia for the sake of trade. The longer-term economic benefits of these trade missions have also been debated. In Canada-US relations, Chrétien established a low-profile but evidently cordial relationship with the American president, Bill Clinton. In 1997, Chrétien called a federal election for June 2. The opposition parties were fragmented and unimpressive, and regional rather than national in their appeal. 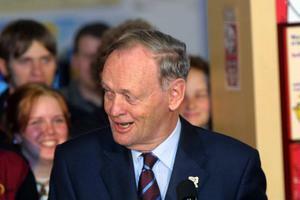 Chrétien, as a result, won the election with a small but serviceable majority of 155 seats out of 301. In its second term, the Chrétien government continued to benefit from prosperity, despite economic troubles in Asia and a sluggish economy in Europe. With a new minister, Lloyd Axworthy, its foreign policy appeared to switch emphasis towards human rights issues. As a logical consequence, Canada was a participant in NATO's Kosovo War in 1999. With the economy ticking along and his finance minister, Paul Martin, widely admired, there appeared to be no major administrative or policy problems by the end of 1999. Chrétien turned his attention to domestic politics. The most obvious threat to the Liberals came from the right, where the Reform Party was attempting to recast itself so as to absorb the remnants of the Conservatives. A "unite-the-right" movement took shape in the form of the Canadian Alliance Party in early 2000. The Alliance promptly elected a new and (at least on the federal level) untried leader, Stockwell Day. Chrétien saw a political opportunity and seized it, forcing a general election on an unenthusiastic Liberal party. But if rank-and-file Liberals were hesitant, the Alliance Party and its leader, Day, were dismally unprepared. On 27 November, Chrétien secured a third straight majority with 172 seats and nearly 41 per cent of the vote. Best of all, from Chrétien's point of view, the Liberals outpaced the Bloc Québécois in Québec for the first time in terms of the popular vote. The main problem during Chrétien's third term was relations with the United States. Canada was overwhelmingly dependent on an American market for its exports, a fact that during the peaceful 1990s posed no great problem. However, when, in September 2001, the United States came under attack from terrorists associated with the militant Islamist group al Qaeda, the security of American borders became a serious issue for the first time since the Second World War. Canadians generally, and Chrétien in particular, supported the Americans, but decades of neglect and underfunding had left Canada with a weak armed forces and limited resources with which to respond to the crisis. Canada sent what troops it could to the American war in Afghanistan beginning in early 2002, but Chrétien refused to participate directly in the subsequent Iraq war, explaining that Canada would not do so without authorization by the UN Security Council. Chrétien's stand on Iraq proved immensely popular in Canada (especially in Québec), but it could not save him from rising discontent in his own party, where supporters of the finance minister, Paul Martin, had succeeded in undercutting Chrétien's own followers. Chrétien finally announced that he would step down as Liberal leader. His last official act was to give a bravura speech at the Liberal convention in Toronto in November 2003; he resigned as prime minister the following month. 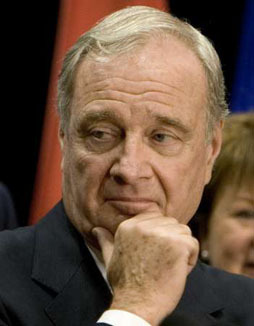 The Liberal Party's new leader, Paul Martin, subsequently replaced Chrétien as prime minister on 12 December 2003. After retiring from political life, Chrétien became counsel for the law firm Heenan Blaikie LLP. In February 2014, after the collapse of Heenan Blaikie, he joined law firm Dentons Canada as counsel. Chrétien has also remained involved in politics, if not on an official basis. In 2008, he and former NDP leader Ed Broadbent worked to form a coalition agreement between the Liberals and the New Democratic Party to oust the existing Conservative government led by Stephen Harper. Harper managed to prorogue parliament, however, and halt the coalition's efforts in putting forth a motion of non-confidence. In 2013, Chrétien publically criticized Harper’s foreign policy, sparking a public debate about the international stature of the country under different governments. Since retiring, Chrétien has been involved in a number of international organizations; he is a member of the World Leadership Alliance–Club de Madrid, a group of former prime ministers and presidents that consults on challenges facing democratic governments. He is also on the Honour Committee of the Fondation Chirac, an organization dedicated to world peace. In 2008, Chrétien became co-chair of the InterAction Council, an organization of former heads of states and governments that develops and recommends practical solutions to problems facing the global community. Jean Chrétien, Straight from the Heart (1985) and My Years As Prime Minister (2007); Lawrence Martin, Chrétien: The Will To Win (1995) and Iron Man: The Defiant Reign of Jean Chretien (2003); Nate Hendley, Jean Chretien: The Scrapper Who Climbed His Way to the Top (2005).